If it's Friday we must be back in London. Every Friday I take a virtual walking tour ‘above ground’ on the London Underground. Using my Tube guide & my fitbit® device, my goal is to walk 10,000 steps a day roughly following along the Underground route, reporting back here on Fridays with my findings We're currently following the Central Line. Here are the previous days. This is Day 60. Last week, just as I was feeling weary of following the Central line, up popped Leytonstone, and the happy discovery of it being the birthplace of the great Alfred Hitchcock. Today I’m once again feeling the neverendingness of the Central Line—THE longest tube line in the London Underground System, the line covers 49 miles—as I look at the map and trace its pathway going out and out and out into the countryside. Skipping ahead, I find the end of the line: Epping, the last and 46th station. And while Epping feels like it’s forever and away from London, it’s actually just shy of 4 miles northeast of the city. 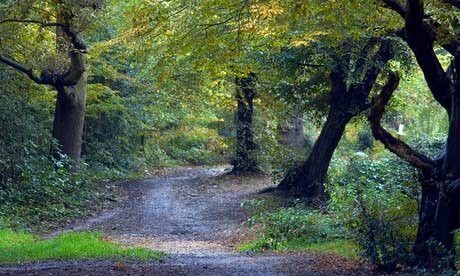 The area boasts Epping Forest, London’s largest open space—over 3300 football pitches—which is open 24 hours a day, 365 days a year. The forest is home to fallow deer, cattle, grey squirrels, foxes, hares, wood mice, moles, hedgehogs, weasels, bats and more. Not surprisingly Queen Elizabeth I had a hunting lodge not too far from here. 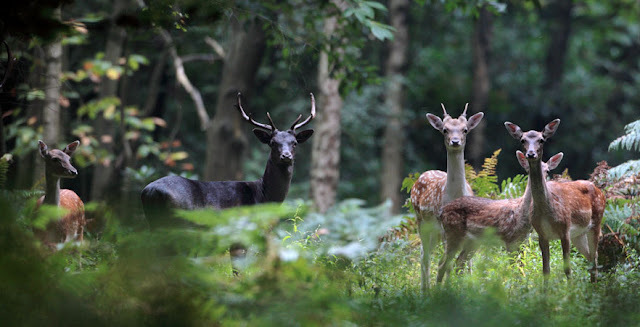 There are guided walks for all levels, runs and workshops like What to do with a deer: butchery, cooking and hides. The beautiful countryside is also the setting for a historic country estate. The Copped Hall estate dates back to 1303, home to the king’s huntsman. The royal estate has been passed down over the centuries first to Henry VIII, than the Queen Mary who lived there basically as a prisoner since she was Catholic. Elizabeth gave the estate to Sir Thomas Heneage, a high court official for whom Shakespeare is said to have written A Midsummer Night’s Dream. The play was performed—for the first time— in the long gallery in celebration of Heneage’s second marriage. 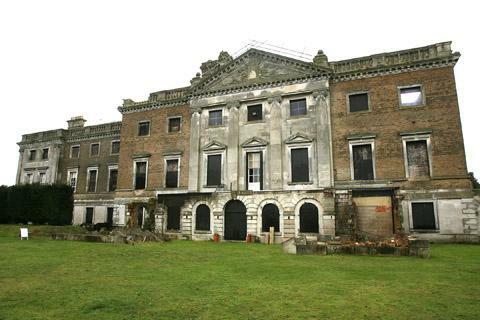 It’s a wonderful old mansion and stables set in an expansive park-like garden setting. Honestly, I’ve pushed it today, my walk is over 13 miles! 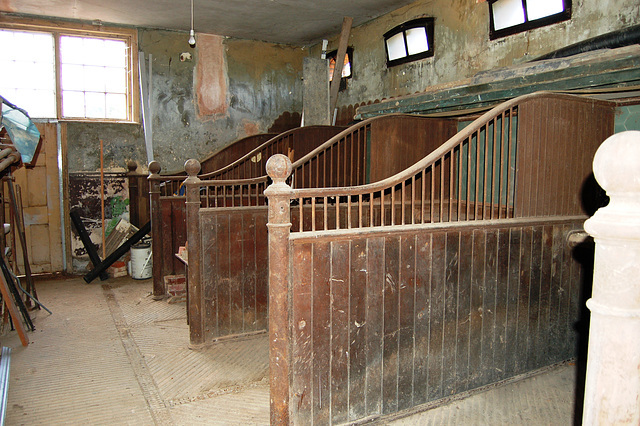 I feel like grabbing a pile of hay and crawling into one of the stalls. Next week we’ll hit Waltham Abbey and Queen Elizabeth’s hunting lodge before we get back into the city of London. Come along? My husband and I have started talking–again—about making a trip to England a reality. He’d like to go to Paris and Italy while we’re across the Atlantic—as would I—which means we’d have just a few, perhaps four or five days at the most, in London. After all the research I do for this weekly walk, you’d think I’d know exactly where I want to go and what I want to see, but I’m not sure I do. There are so many things and places I’ve learned about that my head is swimming. He has been wanting to visit Baker Street forever and I like the idea of taking a Jack the Ripper tour. High tea, of course. The house where I was born, a boat ride on the Thames. I've seen Westminster Abbey and I think it would bore him but the Tower, Buckingham Palace, Big Ben deserve at least a look. How about you? What must see places would you suggest I add to my list? Sorry, I can't think of any site to add to your list. Probably, I would point you in the wrong direction. I can't imagine walking thirteen miles. I'll bet you and your husband have a wonderful time on these excursions. Would love to visit the Tower. Thanks Tea! It's always good to hear from you. Great ideas Joy, thanks! I am definitely up for a Jack the Ripper tour! I recently went on the London Walks tour of the British Museum. I have been there before, but found all the old stones and pots overwhelming. However, the guided tour really brought it all to life, and it was a throughly enjoyable experience.